We do not curently have theatre tickets available for Parov Stelar. This could be because we have simply sold out or it could be that this show is no longer running. The information on this page remains purely for historical and informational purposes. 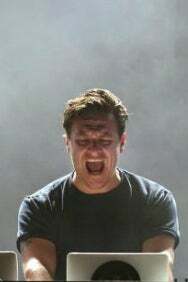 Parov Stelar aka Marcus Füreder is a musician who lives and works in Linz, Austria. He performs with his band - the Parov Stelar Band - and as a DJ worldwide. The Austrian musician has taken over the global music scene like a phantom in recent years. Through his music the modest but exceptional talent has not only gained an enormous fan base, but has also achieved cult status as a producer. His retroinfluenced music is borne out of an aura of elegance, wickedness and pure energy. Inspired by styles and samples from the most varying of genres (soul, pop, jazz and swing) and combined with modern beats and grooves he creates an incomparable and peerless sound.